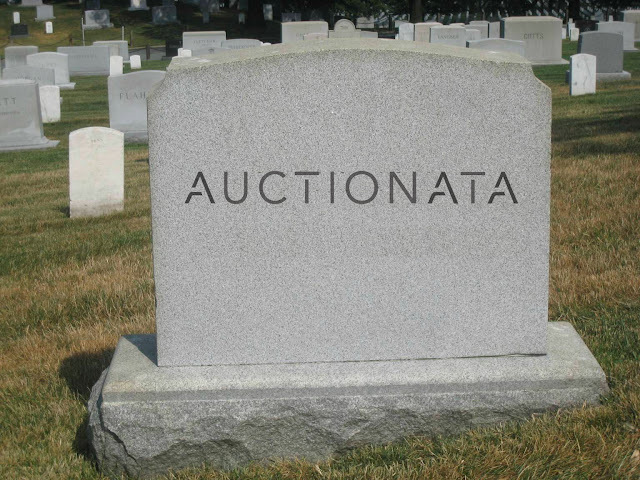 A post in the Swann Galleries Blog stated the highest priced lot in the Old Master Drawings Auction was $42,000, fetched for a watercolor attributed to Turner. 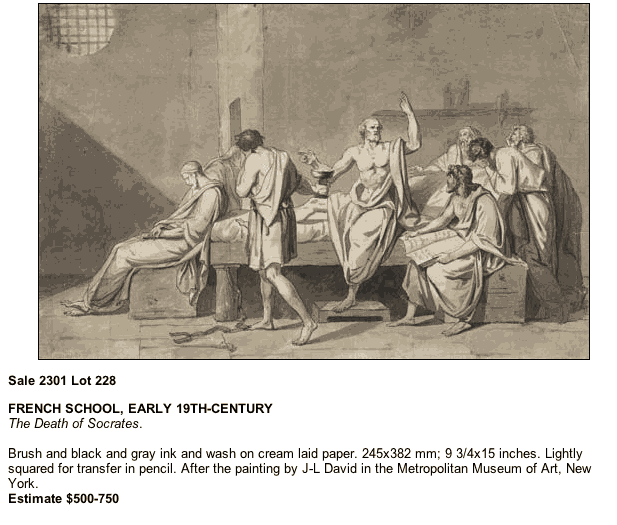 Not surprisingly, Swann Galleries did not mention the $840, with buyer's premium, fetched for lot 228, incorrectly documented as a "French School" Work "After the painting by J-L David", created "Early Ninetieth Century". 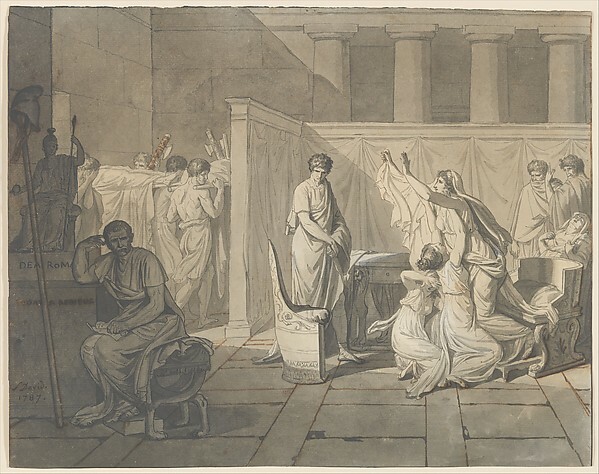 Paradoxically, Swann Galleries recognized the drawing's similarity to the Jacques-Louis David painting titled Death of Socrates, purchased by The Metropolitan Museum of Art in 1931, but failed to recognize this rare work was one of several unique compositional drawings by a Jacques-Louis David. For some reason, Swann Galleries overlooked careful comparison of the many differences of lot 228 versus the 1787 Jacques-Louis David painting in the collection of The Metropolitan Museum of Art. However, the curators at The Metropolitan Museum of Art did not overlook anything as they were certain lot 228, sold in Swann Galleries Old Master Drawing Sale on January 29, 2013, was an authentic Jacques-Louis David drawing, similar to another 1787 Jacques-Louis David drawing auctioned by Delorme & Collin du Bocage for $597,889 in 2005, and subsequently purchased by The Metropolitan Museum of Art, New York. George Goldner, Curator drawings, The Metropolitan Museum of Art stated the drawing style is typical of David. It was obvious we had to have it. 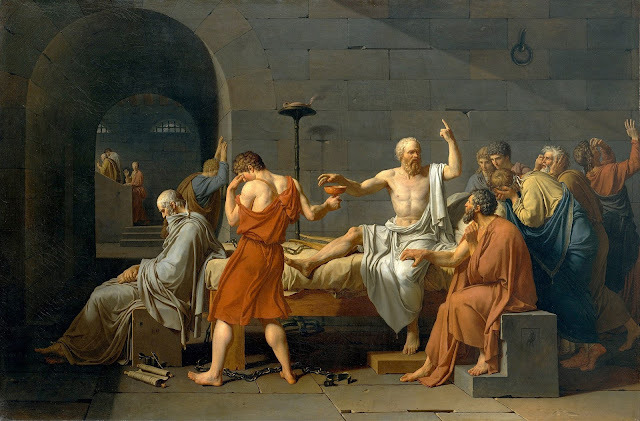 Comparison to The Death of Socrates canvas purchased by The Metropolitan Museum of Art in 1931 shows "the seated figure of Crito reaches out imploringly to grasp Socrates’s thigh: in the earlier drawing, Crito merely looks up, holding a large open book on his lap." The consequences of the incorrect attribution by Swann Galleries is significant since the drawing only fetched $700, or $840 with buyer's premium, is one of several authentic, unique compositional drawings of The Death of Socrates, created in 1787 by Jacques-Louis David, and most likely, would have fetched million dollar auction price. For reference, a similar Jacques-Louis David compositional drawing was auctioned four years ago at Sotheby's London in 2009, and that artwork fetched $1,081,110 with buyer's premium! Had lot 228 been documented correctly by Swann Galleries as a 1787 compositional drawing by Jacques-Louis David instead of just as an "After", the consignor would have, most likely, received a seven figure check instead of a $700 hammer price, which also does not include deductions for Swann Galleries' selling fee commission, illustration charges, insurance, etc. Accordingly, it appears the consignor of lot 228 has support to pursue a damages claim resulting from the misattribution by Swann Galleries.